The wedding ceremony will be held outdoors on the lawn next to the Barn at Allenbrooke Farms. Following the ceremony, everyone is invited to join us for a dinner reception to be held inside the Barn. 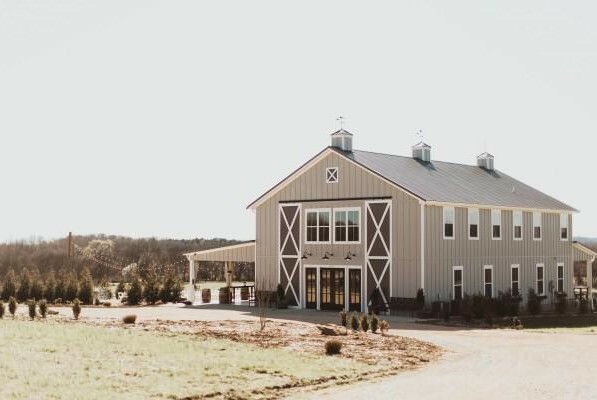 In the case of rain or other inclement weather, the ceremony will be held inside the Barn at Allenbrooke Farms. Please see the following directions to help you get to the venue! Please make sure you type the BARN AT ALLENBROOKE FARMS. If you simply type in Allenbrooke Farms or the address, it will take you to the wrong location. Parking is located next to the ceremony lawn. When arriving at the Barn at Allenbrooke Farms, turn into the drive labeled "ENTER." The parking lot will be to your left.